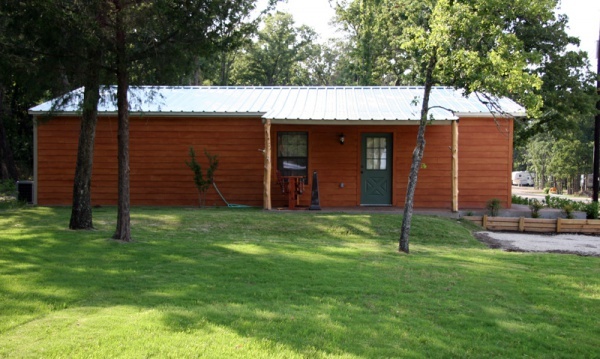 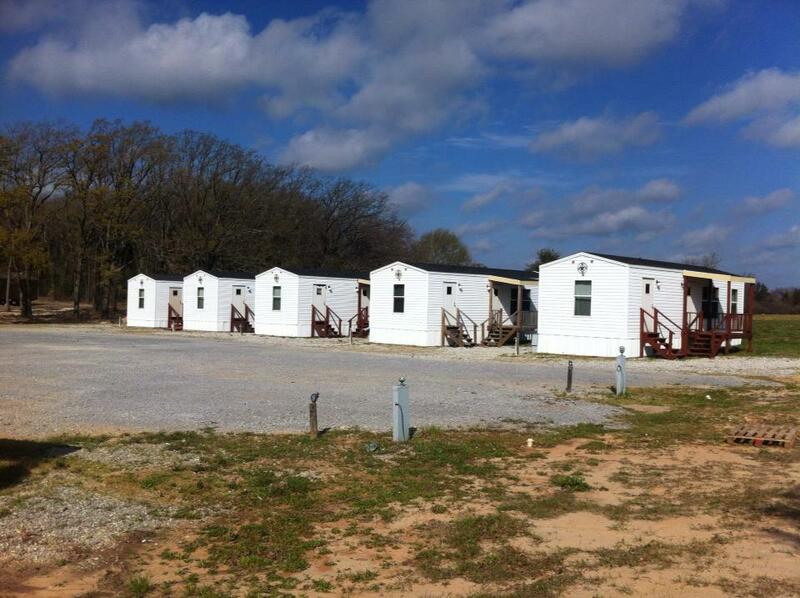 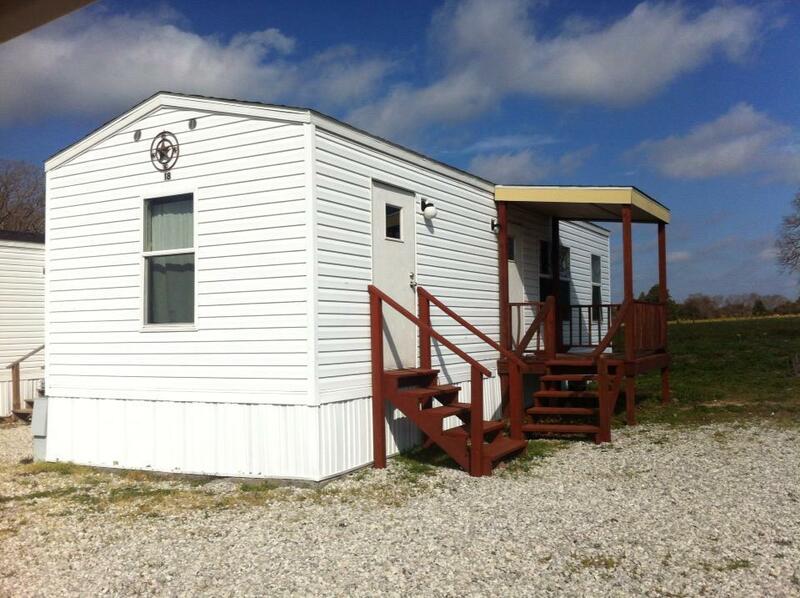 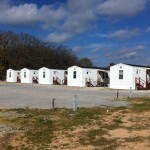 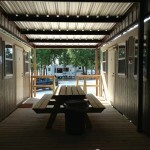 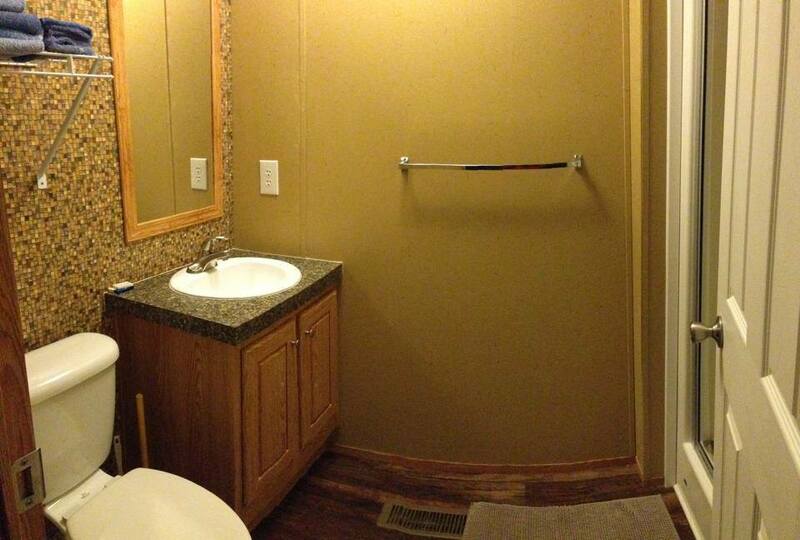 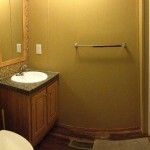 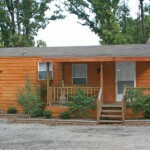 We have 28 cabins – 13 Regular and 6 Deluxe 5 Smaller cabins and our new addition our 4 Quadplexes . 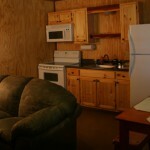 Our cabins are fully furnished, beautifully landscaped, and include full use of the park and facilities. 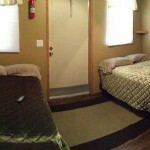 Regular Cabins have 1 bedroom on each side with 1 Queen bed per room .The living room has a 32 inch flat screen TV. 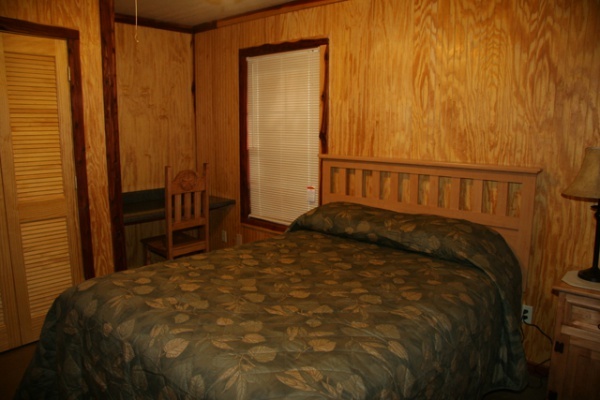 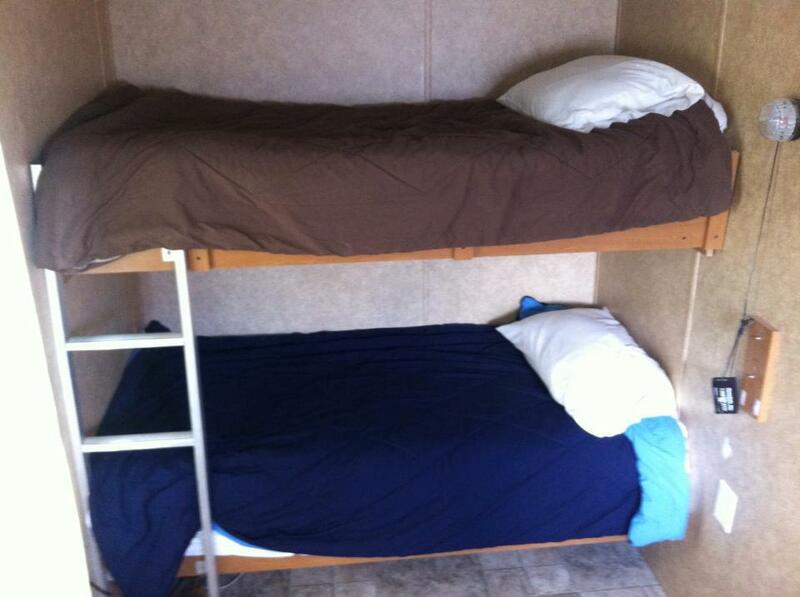 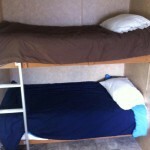 Deluxe Cabins have 1 bedroom on each side with 1 Queen bed per room . 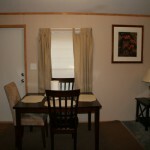 The living room has a 42″ flat screen TV, carpet, Dishwasher and a Private Patio. 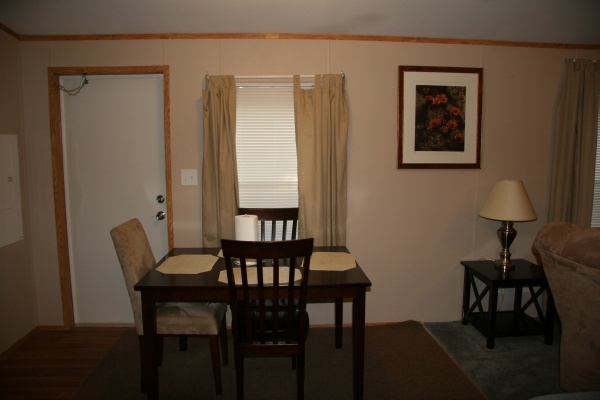 Quadplexes have 4 bedrooms with 8 full size beds. 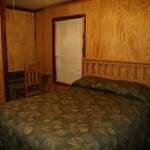 Each room has its own bathroom and 32 inch flat screen TV. 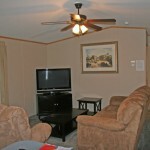 Perfect for Family Occasions, Company Lodging and Large Groups! 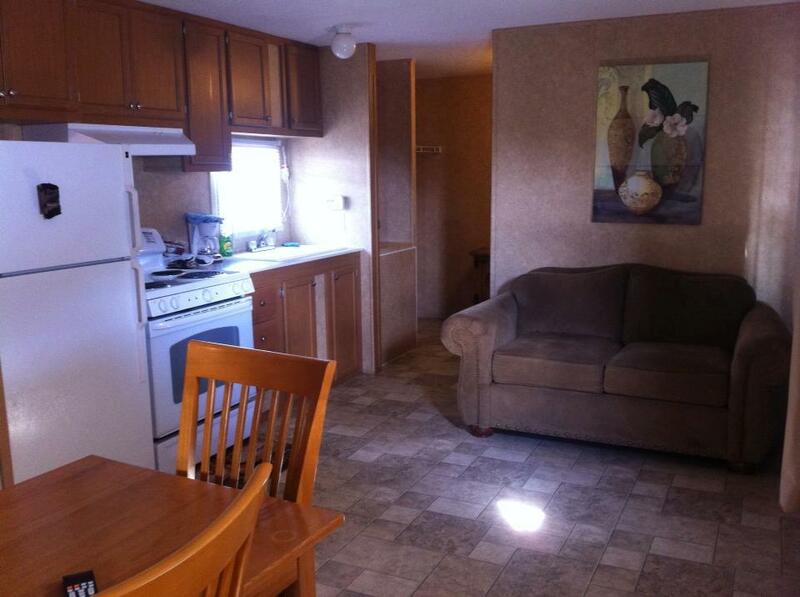 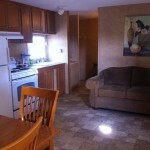 The kitchens are furnished with: Dishes, Cooking Ware , all full size appliances, other kitchen supplies. 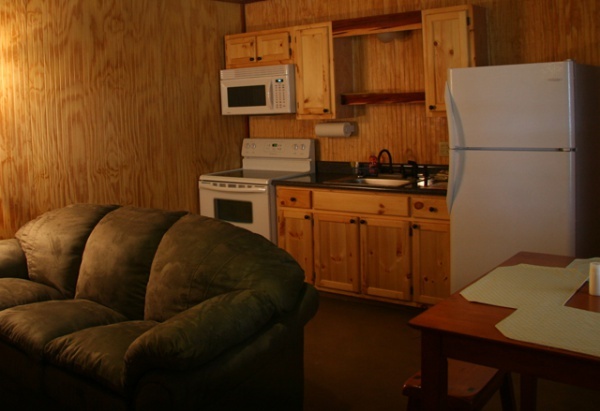 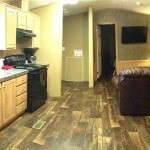 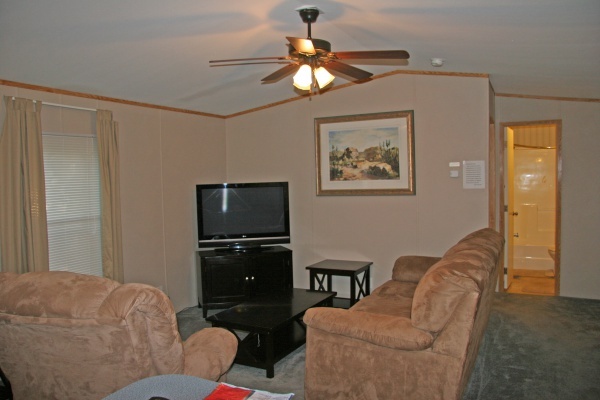 Each cabin includes all utilities, fully furnished linen, Cable TV, WiFi Internet. 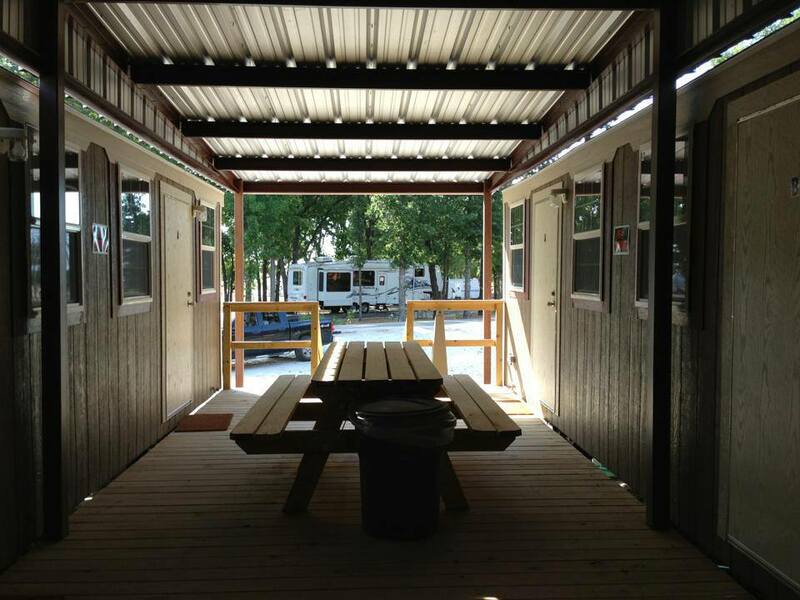 Free access to our onsite laundromat, outdoor barbecue, pavilion,and a stocked fishing pond. 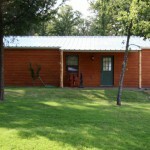 Cabin porches have double cedar swings and rocking chairs for relaxing. 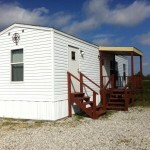 The property has paved roads so you can be sure of easy access no matter the weather. 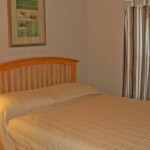 Don’t forget to enjoy sunny days fishing in our stocked pond!